As I’ve been blogging about abuse, and read your comments and hear your stories on my radio show, I’m continually faced with how cruel so many people can be to each other. Perhaps you have suffered tragic abuse at the hands of someone you thought you could trust. This is not how it’s supposed to be. But even though we live in a world where abuse runs rampant, there is still reason to find hope and keep pressing forward with your life. I want to help you do that. I’ve blogged about physical and sexual abuse, now I want to explore perhaps the most common abuse of all verbal/emotional abuse. Justin described it like this: My father has always been very verbally abusive to my brother and me for as far back as I can remember. He’d tell us that we would never amount to anything, and would never be a real man like himself — some ‘real man’ huh? Sticks and stones may break my bones but words will never hurt me. This old saying could not be farther from the truth. Verbal/emotional abuse happens when yelling and anger go too far or when someone constantly criticizes, threatens, or dismisses you until your self-esteem and feelings of self-worth are damaged. It also includes being around constant family conflict. This kind of abuse may seem invisible. But the effects can be extremely damaging and may even leave deeper lifelong psychological scares than physical or sexual abuse. Kent shared: My mom tells me that she doesn’t want me, and that she doesn’t love me. And that’s not right. I thought a mother can love her child forever, maybe she does and just gets sick of dealing with my daily problems/concerns. Kent is feeling deep pain he never should have to feel. No child, teenager, or young adult should be responsible for the emotional well-being of his/her parent. Jenn described her abusive home life: My mom has this strange way of doing things and she abuses in the way of controlling me to the point that I feel if I don’t please her I feel like my heart breaks because I’m breaking hers. She controls me in the way she guilts me into everything — going to the store, being with my boyfriend, hanging out with friends — she feels if I’m not spending time with her or doing what she wants me to, she feels empty. And then I feel horrible, which is why I got into cutting. She controlled me in the way that I could not say ANYTHING to anyone about problems within our family — nothing could go outside of our house. I feel so trapped in my own home. You’ve heard me say this before, but you must realize it is not your fault you are being treated the way you are. You don’t have to carry around guilt and shame for something you haven’t done. You’ve only been in the wrong place at the wrong time with the wrong person, and absorbed the wounds of someone else’s dysfunction and illness. Cera shared her thoughts on being emotionally abused: I often think this is t he type of abuse that is the hardest to identify. I always thought my feelings of never being good enough were because I was a horrible daughter and I didn’t deserve to be treated well. I often hid my feelings and did things perfect or didn’t do them at all. When I am put in a situation I think I may not be perfect at, I began to fear what everyone is going to say and think. I am beginning to realize I am not perfect, but that’s okay because nobody is. The part you can play when abused is to choose how you’re going to respond to it. You can let it turn you into a miserable, depressed person. Or you can allow the pain and hardship you’ve experienced turn you into a compassionate, caring person who can help other people going through their own difficulties. Jodi wrote with some words of encouragement: I have pretty much been through a mentally abusive time with my family the past four months — my parents are in the process of a divorce. I live with my mom and my dad doesn’t talk to me. All I can say is take it day by day and always know that there are people that care about you and that can help you any way that you need it. Count on your friends to be there for you. Jodi gave some good advice. There is HOPE to get through and move forward in a healthy way. If you determine you are living in a verbally/emotionally abusive situation, it’s important that you tell someone. Find someone you can trust to talk about what’s going on at home. It will help you get perspective on your situation, and help you decide what actions you need to take to protect yourself. You can always chat with us here at TheHopeLine. If you are in immediate danger, contact the police (911) as soon as possible. You can also call the Childhelp National Child Abuse Hotline at: 1-800-4-A-CHILD (1-800-422-4453). Please continue sending me your stories in the comments below, it’s extremely helpful to others to know they are not alone and to hear your perspective. 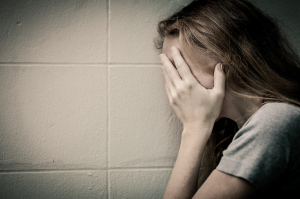 If you have been verbally and emotionally abused, your self-esteem may have suffered. 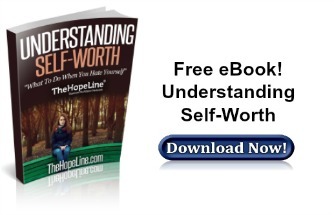 To start building it back, check out TheHopeLine’s eBook on self-worth for practical advice about things you can do to increase your self-esteem. I want to know if this is verbal abuse or if I’m just being dramatic. A few years ago I would go to my best friends house, who lived down the street from, and be there for two days maybe one day a week. I got to know her family and they turned into a part of family. After I started getting closer to her and her family my mom would yell at me more. For example I would ask if I could spend the night at my friends house and she’ll yell at me saying , “I don’t know. 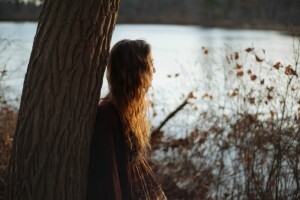 Why don’t you just live there since you’re never here” it hurts when she tells me that it feels like she wouldn’t care if I just upped and left. (This has been going on since we became friends we were both 12 at the time). A year ago my boyfriend and I started dating and you know you go and meet their parents and start knowing their family and stuff. His mom likes to invite me over to have dinner with them and she makes me feel loved like an actually mom should be doing. My mom asked if I wanted to come to my aunts and I asked if it was going to be crowded(being in crowded places makes me really anxious but I don’t know why though) and she said yes but that they’re family so I said no thank you but tell them I said hi. As usual she yelled at me to go live with my boyfriend since I hang out with his family so much and I never hang out with my actual family. Before I started getting anxious with crowds I loved hanging out with my family but once started gaining a few pounds they started making fun of me(this was 5th grade and so on) they had always made me feel self conscious of my body, my mom too. I don’t like to hang with them anymore once they found out I was dating they kept on making sexual jokes and keep on asking what positions we do and just questions that make me uncomfortable. It’s just not them same being with them and recently my sister wanted her own room so I got moved to our old uncomfortable couch in the living room. But all in all my mom is always telling me to go live somewhere else and I don’t feel like she loves me anymore. I already tried talking to school counselors but all they tell me it’s just my hormones or that I need to stop being selfish and more grateful. And I tried talking to my mom about how I always feel down and that I start crying out of nowhere and she’ll call me crazy and that I shouldn’t be saying anything unless I want to be out in a crazy hospital. I’m 17 this has been going on for six years I’m too young to be feeling this tired from life. I feel like my mom is overprotective and stressed. I’m the oldest child of the family, being 20 years old and having younger siblings aged 5 and 6. She’s… Good with me at times. We would have our days where we talk and we actually communicate without conflict. If I want to go with my boyfriend, she says I can and after that. She does everything in her power to prevent me from doing so by making ME the person to blame. Like there’s a rule that hair should be picked up from the bathroom floor. A single strand of hair could sit on the floor and I would get an earful of how irresponsible I am. That I “think” that since I now got her permission to go out on a date, I can do what I want. She flaunts it in my face that she can change her mind whenever she wants. The atmosphere turns ugly. The house is a living hell for the next couple weeks. I would get constantly yelled at as a basic form of communication. If she’s not yelling she’s trying to make me upset by making comments about my hair, or my face, or talking about things that she KNOWS I don’t like talking about. She tries anything to make me mad and she uses that against me. I’ve been extremely hard on myself. I’ve felt that I’m just being a terrible daughter. My biggest wish is to just make her happy and not this huge disappointment. I’ve only recently found out how messed up this is the past year. My closest friend (now former friend) and boyfriend said plenty of times that I’m way too hard on myself and some of these things are not my fault. I feel like it’s such a poor excuse. Like that’s not good enough to explain why I feel so pathetic. I would say I’m a happy person and I honestly would love to help others but these things keep getting worse and worse. She’s threatened to kick me out, now I can actually afford my own place so now she’s stopped and she’s still trying to pick at me. When she’s done, we talk again. We end up always talking about my dad (who passed away when I was 6) and she’s said that it’s probably because I remind her so much of him. I don’t know what that means and if it’s even a good thing. I don’t even know if this is abusive. All I know is that her and I could never live together without a war. I dont know if my mom is being abusive, but whenever she gets mad she often yells at me and my brother and my grandmother. She works two jobs. I usually think “okay, she may be stressed and not mean any of what she says”. But this has been happening for a year (as i can remember right now). She rolls her eyes when i accidentally forget to do the clothes (mind you i have adhd add and bipolar 1 depression). When she yells, i cant help but to yell back at her. Today i told her “i dont care about you” in reality, i just want her to love me correctly. She thinks she can buy my happiness and ive told her she cant many times. She denies my feelings if i tell her and she just shakes her head in disappointment whenever i “make her mad”. Can anyone tell me if this is abuse? I can relate. My mom always says I don’t volunteer to do stuff at home and she says she’s working not because she would love to take good care of me but the only reason, she said, is that she had an obligation/responsibility. I had lost 95% of my self confidence due to this. I can’t even talk with my friends properly. I can’t even start a conversation between me and another person. I really don’t want to call it abuse but.. my mom and my dad never got married. They split after my mom cheated on my dad multiple times. My dad has primary custody, meaning I see my mom on the weekends and some holidays. I love my dad to bits but my mom… she puts down my self-esteem. She says things like “Why did you do this? ?” “You couldn’t have just done that?” “What was that for?”, she humiliates me, almost every time I go here I cry silently in my bed when she goes to bed. She has been pressuring me into doing things that I don’t want to. Example: her wanting me to go to a social group, pressuring me to think about going to college, trying to control my life, etc. she also gets annoyed at me very easily as if she doesn’t want me around, or like I’m a nuisance. But then she’ll say that she loves me, and that she misses me… she also shifts blames on me saying that I should appreciate her more and do more things for her and she’ll guilt trip me. I’m 14, what do I do? Your mom is way too self absorbed & overwhelmed with her “stuff” to understand you right now. I’m sure that must make you feel lonely😦. If you can, try the “observe don’t absorb” technique where you watch her from the distance like a scientist in a lab coat. PLEASE DO NOT take her toxic words to mean anything that effects you on a personal level. Please try not to absorb her toxins! She is not you, her issues are hers & you can seperate yourself from her criticism – it’s hatd but you can do it! My mother makes me feel horrible when I commit a mistake, she gets angry to the point where I tell her to stop and I try to ignore what she says but her words break through those things, she changes her moods depending on what day it is or what has happened throughout the day and she refers to my past mistakes and words and tries to use them on me while she’s yelling or talking to me in a bad manner. I have told her once that I am a product of my environment, and she asked me if she and her partner/husband are the reason im irresponsible and I told her that she would have to be the judge of that. She has told me a long time ago that her parents were reserved, she had problems with her father and that she did not have the luxury of things growing up so she would call me ungrateful at times where she thinks I am being intentional with my actions. My step father has been in my life for a long time to the point where I will have a step sister soon along with my little brother who is 13 years old. She calls me names and curses at me when she’s angry and will have a fit if I make the smallest mistake; like if I go to the store and bring back the wrong thing she would make a big fuss over it and say words to me. She has a trouble with moving on from the past and according to her my father was an alcoholic. My step father was an alcoholic for sometime where I got to see him physically abuse my mother 2 times and it still lingers around my mind; he was trying to hit me. Hi. I would like to know if I’m being verbally abused. My mom constantly insults me and rips me of my self esteem. If I ask her to stop, I’m being “disrespectful and ungrateful” but if I don’t say anything in fear of her, “my lack of communication is irritating.” I’m not quite sure what to do. This is my life on a daily basis and she mostly does it when my dad and sister aren’t around. She’s told me that she insults me to get me to be a better person so she’ll stop calling me names. Is this verbally abuse or actually a form of parenting? I know they’re are just words but they burn little holes in my heart. I’m sorry to bother you.